LONDON (AP) Yes, this will be Serena Williams’ 10th Wimbledon final. Yes, it’s her 30th title match at any major. And, well, sure, she’s widely regarded as not just the best of her era, but any era. ”I lost count after, like, four surgeries,” said Williams, who has been wearing compression leggings this fortnight as a precaution. All of the time away pushed someone who’s spent more than 300 weeks ranked No. 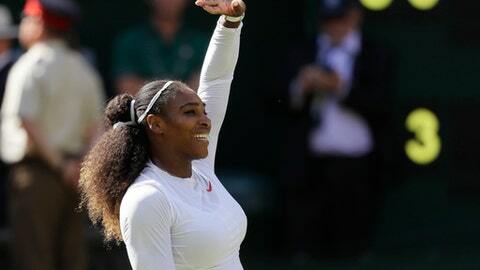 1 down the rankings – she began Wimbledon at 181st, but was seeded 25th on account of her past success – and no one could quite be sure how the American would fare over these two weeks.